Four PHASES, spread over ONE YEAR. Implementing, Tracking and Improving your project. Can be used as QUARTERLY PHASES, or changed to weeks or months. People, Process and Technology Change. Suggested activities within each Phase and Workstream. Based on professional experience, we have made suggestions. This forms a simple starting point for you. 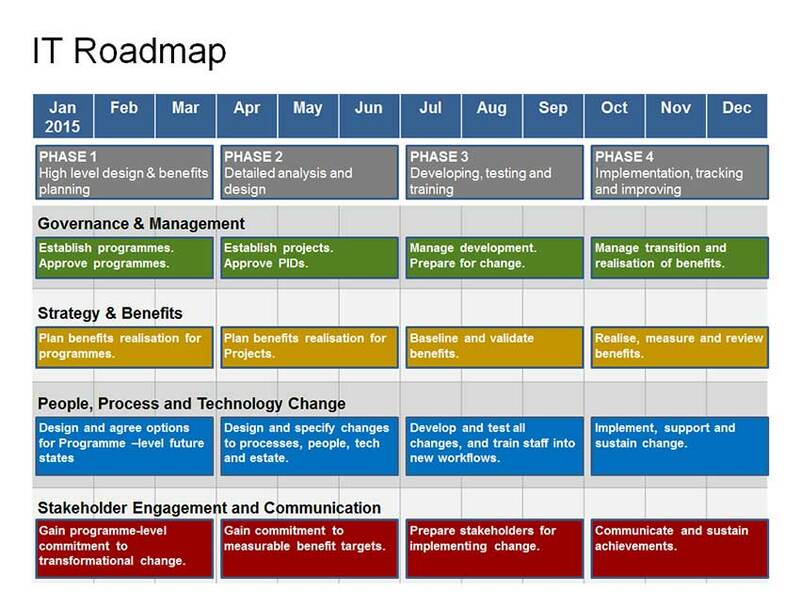 This fantastic and Complete IT Roadmap Template will help you outline your 1 year plan for IT change. 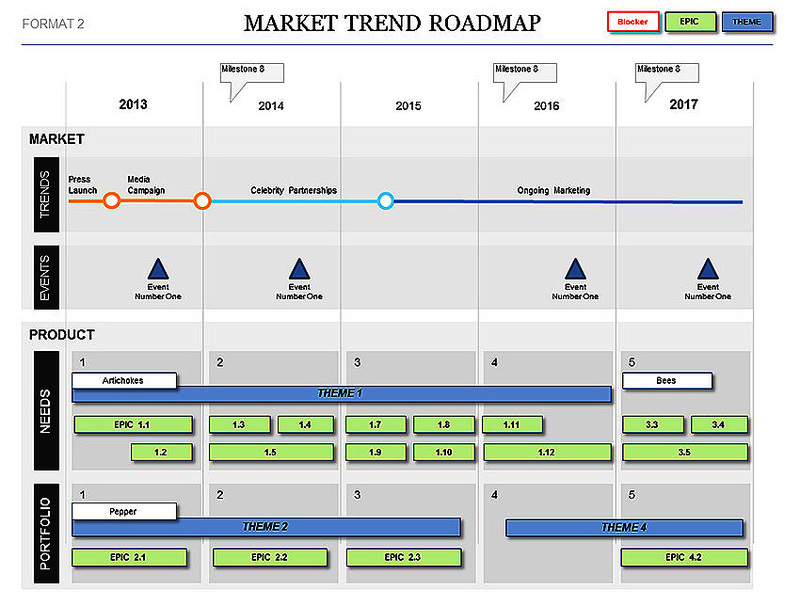 Rating for Complete IT Roadmap Template Template: 4 out of 5 , based on 1 customer reviews. 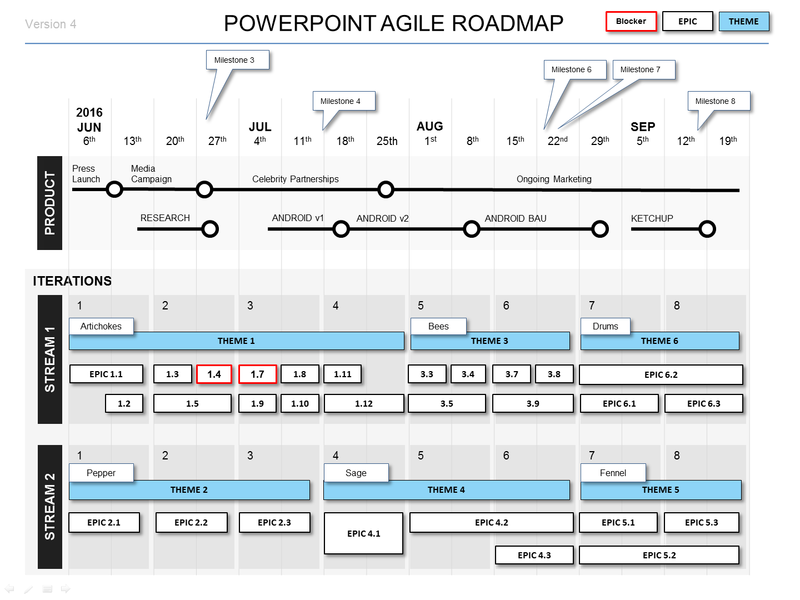 This Visio Company Roadmap Template communicates your Strategy and Timeline on 1 clear document. Take to meetings to create shared understanding quickly.